Our next guest is Concetta Antico. Concetta Antico is an Australian artist with studios in Byron Bay, NSW and San Diego, California. Her work is exhibited in a San Diego, California based art gallery. Her work has also been exhibited in fine arts museums. In September 2014 her exhibition Beacons of Beauty: Capturing Earth on Canvas was shown at the Women's Museum of California, Liberty Station. Q: Tell our readers a little about you. How did you begin painting? A: I began painting in oils at about the age of 7. I got oil paints and an easel for Christmas. I was born and raised in Sydney, Australia. Growing up amongst the beauty of the flora and fauna there. My family home was on the side of a large golf course where there was a lot of mystery and magic in the forest areas, ponds and grasses that became my “backyard”. I have always been intoxicated by the earth and it’s natural wonders. Color and light always entranced me too. I would paint anything - just to “paint”. Walls, doors, wooden fences, sidewalks, everything I did I incorporated some art in it. I loved to recreate the master works. Mostly the Impressionists for their use of bright color and sunlight. I made art my mantra - through school and college. It was my vision and my mission to paint for my life and my livelihood. Q: Already many years in art. How has your work evolved? I have always painted in one sitting ( direct method) however as the years progress I paint much more authentically raw and freely. I paint more at night and of late I have wanted to incorporate mythical and magical themes. Scientific elements are also becoming more prevalent in my work. Q: Your paintings reflect art. What is the purpose of art from your point of view? A: Art is inspiration. It is a guiding force for others to SEE the vision of the artist and to be moved by it. Art should have purpose, meaning. It should stand for something and for what the artist believes in and wishes to convey. For me - my art speaks of the beauty of our world and in that I hope it speaks to us to save such beauty and to be mindful of it. Q: What sort of messages do you wish to communicate through your art? Revere our world and its many gifts given to us freely and abundantly. Enjoy the colors it affords our sight, we are fortunate to be given such beauty. Believe in the miracles of life and that we are are unique and special. 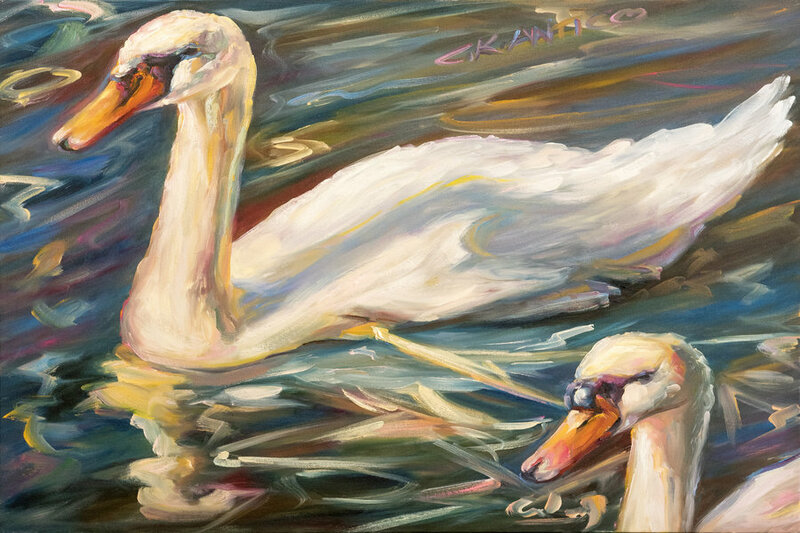 That tetrachromacy is portrayed through my use of color. Therefore my art reflects the true colors of our wondrous planet. These colors can be viewed truthfully through my work. Q: Art requires certain level of inspiration. Who are your favorite artists and your inspiration? A: My favorite artist by far is Berthe Morisot. A French woman Impressionist artist who was unsung in her lifetime and is now proving to perhaps be one of the greatest artists of her time. 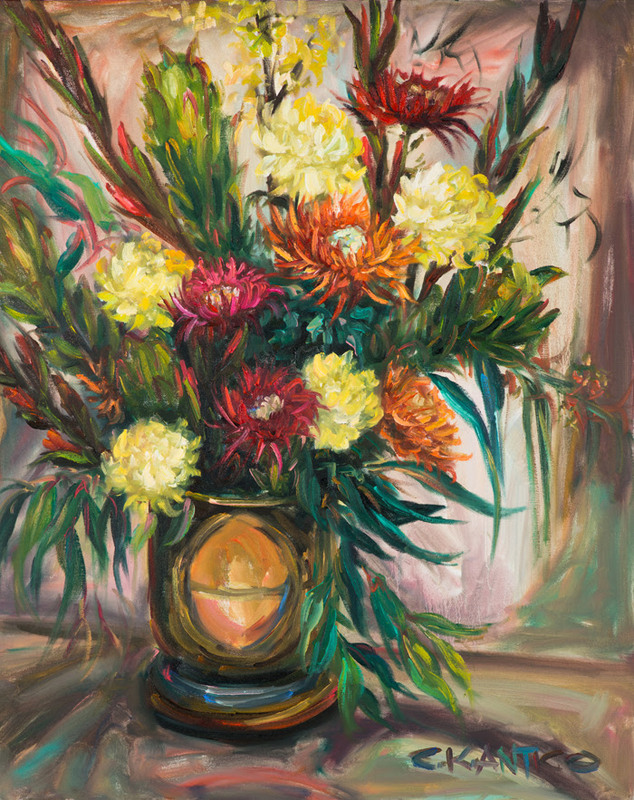 I also am inspired by the works of Robert Henri, John Singer Sargent, Joaquin Sorolla, Henri Matisse, Claude Monet, Edouard Manet, and Australian artists Rupert Bunny, Margaret Preston and Margaret Olley. Q: How long does it typically take you to complete a work? Q: Your paintings are really amazing. What are your favorite subjects to paint? A: Above all I love birds and flowers. They are so amazing in their colors and details - feathers and petals are so beautiful. I see their many and subliminal colors so clearly. They are always a surprise when I paint them - with small nuances popping up and declaring themselves as I go. Q: As an artist, what are some of your greatest challenges or obstacles you face when making your art? Just as well I can paint swiftly and deftly! Q: What do you think has been your biggest achievement so far during your art career? A: There are many achievements. Such as teaching over 25K folks to oil paint over my time as an instructor…using my art to benefit the study of science specifically the research of tetrachromacy and other associated medical conditions at UCI, but I believe that it may well be the body of work I have generated thus far - I have over 1000 works in private collections and I am proud of my oeuvre thus far. I am also honored that two of my works reside at Rady Children’s Hospital in San Diego on a 30 year loan and that proceeds of my work have benefited the children there. Q: In 2012 it was found that you have a genotype for potential tetrachromacy (the condition of possessing four independent channels for conveying color information). How does this help you in painting? A: I had no knowledge of this gift of being able to see over 100 million more colors than others until well into my career. Tetrachromacy does not necessarily help my technique and master painter abilities as much as it provides me MORE colors to create with. 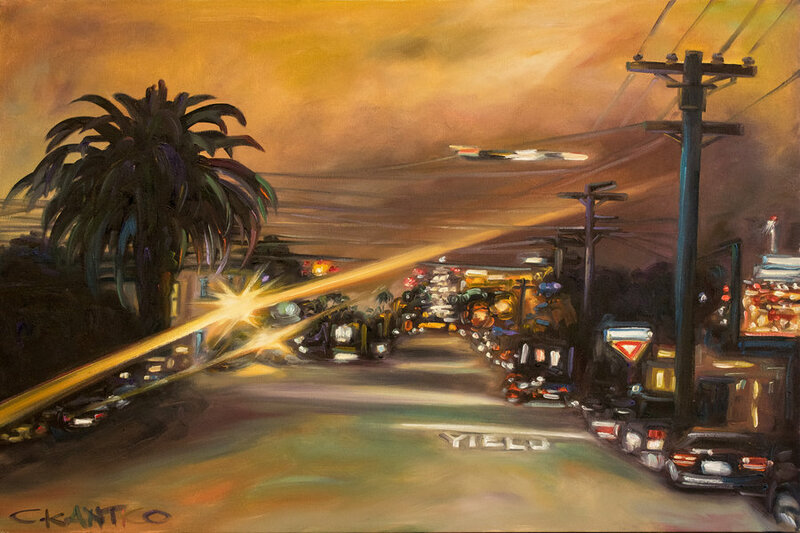 There is some connection however to my brain and how it processes colors - I have come to believe that I am much more deft and swift at producing the colors I can see because tetrachromacy aids in my accuracy when in process. Of course it enhances the beauty of my work inherently due to adding more color that is visible to me, that I then produce, for the benefit of the viewer. Further, my higher luminance factor allows me to see much more light at night, therefore my nocturnes are illuminated with color! How to Make a Movie Intro with Renderforest?